Authors and publishers are being encouraged to enter their new books into Cumbria’s leading literary awards. The Hunter Davies Lakeland Book of the Year Charity Luncheon and Awards Ceremony takes place every summer and is now in its 32nd year. These awards are unique and are recognised as being the most prestigious of literary prizes outside of London. The competition is open to established authors as well as first-time writers. As long as the books to be entered are anything to do with Cumbria and were published during 2015, they are eligible to enter. Over 50 books are entered in a typical year, and in excess of 70 books is not uncommon. The judges have the difficult task of reading all the books and selecting the winners. The lead judge is Hunter Davies himself, Chairman of the Judges Panel and the inspiration behind the event. Hunter has ghost-written a number of high-profile biographies for celebrities such as Wayne Rooney, Paul Gascoigne and John Prescott, as well as acclaimed works about Wordsworth and Wainwright. He regularly features in national newspapers including The Times and the Daily Mail and with the support of Yoko Ono, he published The John Lennon Letters in 2012. The panel also includes ITV and BBC newscaster, author and journalist, Fiona Armstrong, and Gardener’s Question Time Chairman, broadcaster and Chair of Cumbria Tourism, Eric Robson. There will be five topical categories, with each winner receiving a prize of £100. 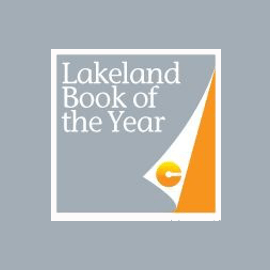 The most prestigious prize is the Hunter Davies Lakeland Book of the Year Award, with the overall winner receiving a £500 prize. All prizes are presented at a charity awards luncheon, to be held this year at Armathwaite Hall, Bassenthwaite Lake, near Keswick on Wednesday 6th July. Over the years, the luncheon has raised many thousands of pounds for local charities and the charity benefitting this year will be the Cumbria Flood Appeal. The winner of last year’s Lakeland Book of the Year was “The Shepherd’s Life” by James Rebanks, published by Flatiron Books. It is currently being adapted for the stage by Theatre by the Lake, Keswick. Its world premiere will run at the theatre from March 26th until April 23rd 2016. The awards were founded by Hunter Davies and Cumbria Tourism and are organised by Chris Tomlinson, Vicky Robinson and Affra Hartree. The deadline for submissions to this year’s competition is March 21st and entry forms are available by emailing chris@chriscollier.co.uk, affra@hartree.org.uk or by contacting Cumbria Tourism on: 01539 822222. 2: Cumbria Tourism continues to provide what support it can to the voluntary team and has given full access to archives, databases and financial planning.